Pasig City—February 13, 2018—People today are becoming more conscious when it comes to health matters. A study conducted by Kantar Worldpanel, a global expert in shoppers’ behavior, revealed that Filipinos are slowly becoming more health conscious in their food and beverage choices. It sends a message to product makers, including myself, to be more mindful of what we sell to consumers. Now, the question begs—what do consumers nowadays want? According to Nielsen Global Health and Wellness Survey, younger consumers are changing the way they eat, especially with their growing concern about food ingredients and genetically modified food, among others. The shifting eating habits of consumers, especially among the younger generation, saw the rise of organic products in the market. One that stood among the rest is Santé, a producer and distributor of certified organic products. 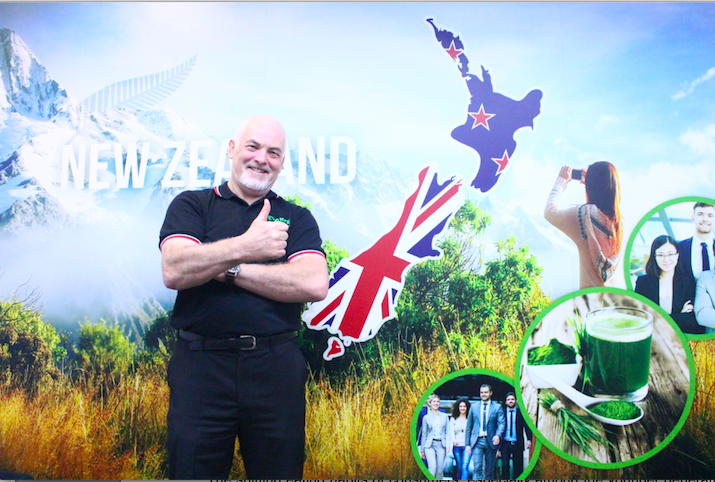 Peter Hope, managing director of Santé New Zealand, holds a degree in Agriculture and has been working in the field for more than three decades. Hope said that Santé products are certified organic by BioGro, the largest and best-known certifier for organic produce and products in New Zealand. This makes Santé the first company in the Philippines to be certified by BioGro. “What makes the difference between conventional and certified organic product is that the farmers are certified by an independent author. These experts come and check what we are doing every year to ensure that we conform to certified organic laws. That means that we don’t use artificial fertilizers or pesticides, and abide by certain rules when we grow our products,” said Hope. Hope also shared that one of their farms in New Zealand has been certified organic for over 30 years. It means that the soil in there hasn’t had anything artificial over the last three decades, which guarantees consumers that the products they buy have no chemicals. “I believe that consuming certified organic product gives you peace of mind because you know that everybody who’s working in the supply chain has to abide by the rules. Where we grow our products—as a part of being certified organic—we have to make provisions to nature as well, so not only is someone checking our claims, we also help in improving the environment,” he added. To know more about Santé, and its product offerings, and other upcoming events, visit their official FB Page at www.facebook.com/pg/santeofficial.ph or their website at www.santebarley.com/ph. Founded in 2007, Santé promotes, produces and distributes premier natural health and wellness products; as well as services, designed to help people live better lives. With Santé Barley as its flagship brand, Santé has dominated the local market with its certified* organic barley grass – grown and harvested in New Zealand. (More recently, Santé, as a processor of barley grass powder, has been certified organic by BioGro). With the proven health benefits of Santé Barley, Santé has developed a comprehensive selection of everyday barley-based products. Today, Santé has expanded its offerings to include a fitness and rehabilitation center with its Santé Fitness Lab; and an array of natural products that are true to the company’s thrust in promoting a healthy lifestyle. Headquartered in the Philippines, Santé has offices worldwide such as New Zealand, Hong Kong, Singapore, UAE, Qatar, Nigeria, and Cyprus. *Certified organic by BioGro, New Zealand’s largest and best-known certifier for organic produce and products.